If you need another reason to exercise, a new systematic review and meta-analysis links exercise to a 35% reduction in the risk for low back pain. The review (“Separate Studies Support Exercise to Treat, Prevent LBP” - January 11, 2016) found that combining exercise with education provides even better results: a 45% risk reduction. Additionally, exercise was found to reduce sick leave time for low back pain by 78%. But if that prevention approach seems all too easy, consistency is key. 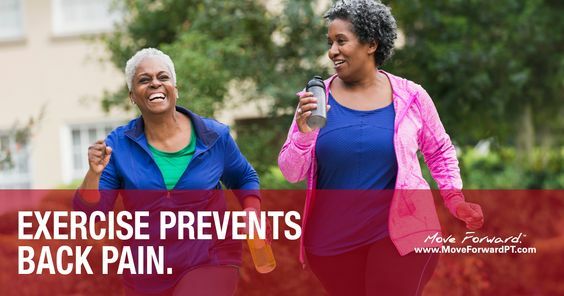 Researchers found that the risk reduction benefits of exercise for low back pain “disappeared” after 1 year, likely due to individuals discontinuing exercise programs. "The finding raises the important issue that, for exercise to remain protective against future LBP, it is likely that ongoing exercise is required," the authors write. "Prevention programs focusing on long-term behavior change in exercise habits seem to be important."